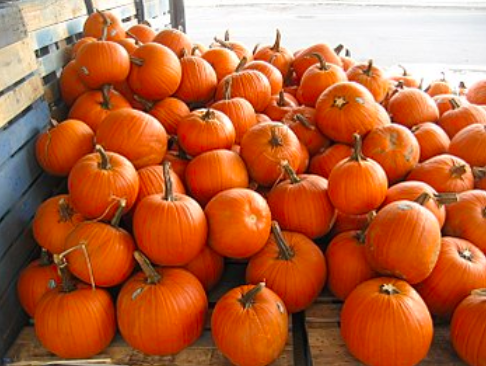 This is the time of the year when pumpkins are most prevalent. Halloween recently passed where people use pumpkins as jack-o’-lanterns. Soon, people will be using pumpkins in pumpkin pies for Thanksgiving. But the thing is, pumpkins are absolutely useless. If pumpkins were to disappear from the Earth tomorrow, the Earth would be perfectly fine. Actually, it would be a better place. Pumpkins have 3 main purposes: pumpkin pies, jack-o’-lanterns and weight guessing competitions; all of these things can easily be replaced. Pumpkin pie is inferior to apple pie, jack-o’-lanterns can use plastic, and people can guess the weight of literally anything. Additionally, these things aren’t necessary at all. People really only eat pumpkin pie a few times or less a year. Jack-o’-lanterns are purely decorative, and everyone can live without weight guessing competitions. Not to mention the mess that comes with making a jack-o’-lantern. It’s an absolute hassle to make a simple decoration. It takes forever, is a mess, and just isn’t worth the time and effort. Pumpkins are worthless and have no reason to be on this Earth.